Even with a few days extra sales behind it (it was released on a Tuesday) DiRT 3 hasn’t been able to shift L.A. Noire from the top of the chart. Instead, it has to make do with a respectable #2 placing. The Wii price drop has also helped a couple of titles re-enter the top 10 – Mario Kart Wii rises from #23 to #10 while Wii Sports Resort goes up from #13 to #6. Portal 2 and Mortal Kombat have subsequently left the top 10 falling to #12 and #15 respectively. The apparently very good The Witcher 2 has had a very bad week too going from #5 to #29. This is always the way with big name PC games though – flying high one week, down low the next. There’s not much to report about in the single format charts apart from Art Academy taking the top spot of the DS chart for the umpteenth time, while Puzzle Bobble Universe makes #8 in the 3DS chart due to being reduced to £12.99 at Game last week. Despite being around since the days of the PlayStation 2, Zumba Fitness was 505 Games’ first ever #1 when it was released about a month ago. It has now taken the top spot for a third time, knocking off Portal 2 which was #1 last week. Portal 2 is now at #2, followed by Mortal Kombat at #3. A belated PlayStation 3 version of Sniper: Ghost Warrior – which was ruddy rubbish on Xbox 360 but still sold very well – sees it re-enter at #15. I wonder if it would have sold this well if PSN was back up? It’s primarily a single player game, after all. Worryingly, there isn’t a single 3DS title in the top 40. Proving that the original DS isn’t dead yet though is Plants vs Zombies, which makes a surprisingly high entry at #16 in the DS chart. It would seem that people did plenty of gaming while munching on their Easter eggs over the long weekend – there are three new entries in the top 40 UK chart this week. Portal 2 has become Valve’s first #1 (and also EA’s 5th #1) of the year, Mortal Kombat enters at #2 while Operation Flashpoint: Red River marches in at #7. Sony’s shooter – SOCOM: Special Forces – doesn’t do anywhere near as well, arriving at #28. It still did better than The Conduit 2 though which, rather predictably, doesn’t make the top 40 at all. It has to make do with a lowly #26 placing in the Wii chart. Final Fantasy IV: Complete Collection takes #1 in the PSP chart which is a funny old sight at the moment, comprising of four Square-Enix RPGs, two football games, two kid’s games and two wrestling games. You’re spoiled for choice this week – there’s even a new 3DS game out. Fair enough it’s only Puzzle Bobble Universe but that’s still better than another one of Ubisoft’s half-arsed conversions. 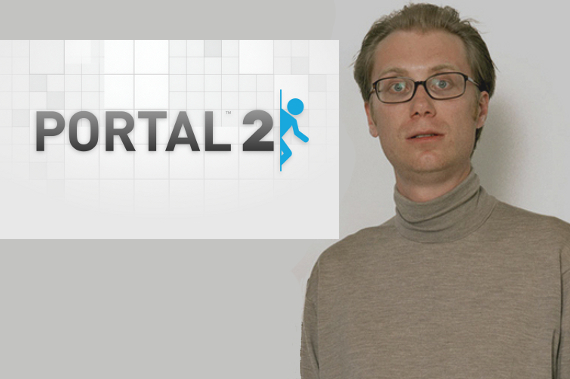 Portal 2 is by far the ‘big one’ – critics haven’t been able to find enough words to praise it enough it would seem. The current score on Metacritic stands at an impressive 95% and that’s even with the fact that it stars Stephen ‘irritating’ Merchant. Ricky was busy, was he? The extra development time for Mortal Kombat appears to have paid off too. This has also been getting glowing reviews – 1UP said it sets the standards for all future fighting games, believe it or not. Eurogamer was slightly less enthusiastic though, giving it a 7. Then there’s Conduit 2, which gained 7.5 from IGN. They said the characters and story aren’t very original but the multi-player stuff is great. The PlayStation 3 also gets its own exclusive shoot’em up this week – SOCOM: Special Forces. I think this is a series only really appeals to fans of the previous installments. You never see Sony trying to advertise it them to a larger audience. Or indeed advertise them at all. This leaves us with Codemaster’s Operation Flashpoint: Red River and Square-Enix’s Final Fantasy IV: The Complete Collection on PSP. The former has been notching up plenty of 7/10 reviews while the latter is a full price release despite being a mere remake. It does though come with a “Screen-cleaning cloth decorated with Cecil from Final Fantasy IV character design” according to Play. Next week: Darkspore, Thor, Virtua Tennis 4, DanceDanceRevolution Hottest Party 4, Musiic Party and Natalie Brooks – Treasure of the Lost Kingdom.